The Rozzor is back, and now it’s been upgraded! The Rozzor 2 is the sequel to the original Rozzor, and we have done quite a bit to update the yoyo. First we made the yoyo much lighter, this is because the first Rozzor was just a bit too heavy. The next thing we did was give the yoyo Jimmy Hat posts. This allows you to add weight to the yoyo if you so wish, as well as gives you the ability to pull of some crazy stunts. 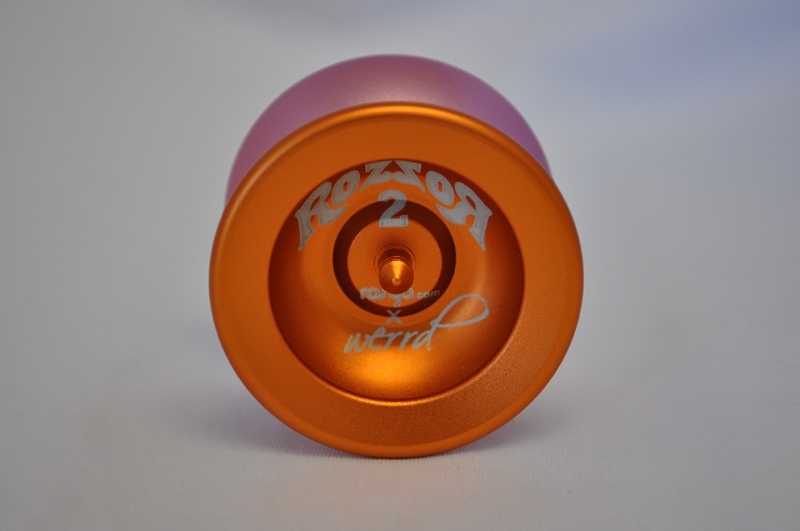 The new and improved Rozzor 2 is one of the best pocket yoyos on the market so come and pick one up! © 2016 Werrd. All Rights Reserved.